A new federal study says climate change in the Maritimes may reduce growth of softwood trees while hardwoods increase. Elsewhere, NRCan researchers model various mitigation strategies to determine how forests and wood products can best reduce emissions to the atmosphere. In other forestry news: the bedeviled McBride Community Forest has a new manager; Bella Coola’s Community Forest needs more and better communication; and a Vancouver Island old-growth preservation tour is criticized for “mushy and malleable definitions that lead to assumptions that are just plain wrong“. Bloomberg reports a welcome compromise on wildfires as Democrats and Republicans come up with a plan. In the High Country News (Colorado), a long and short version how the budget-starved US Forest Service gives jobs to the lowest bidder instead of local communities. Finally, in Business News, Stephen Harper blasts Canada’s approach to NAFTA and says the Liberals bungled softwood lumber. The Liberals say there was never a softwood settlement on the table. 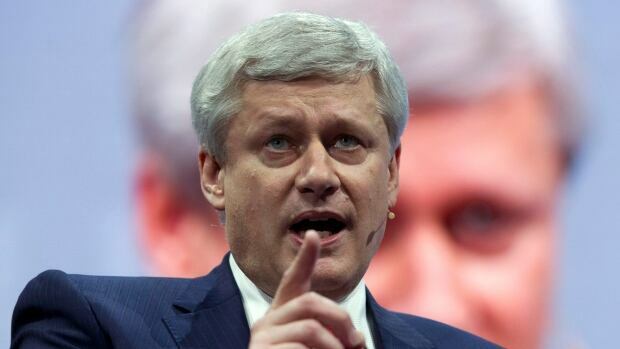 Stephen Harper has come out against his successor’s handling of NAFTA negotiations with the United States, with the former prime minister declaring the negotiations in real peril in a memo titled, “Napping on NAFTA.” The memo was obtained by The Canadian Press and it criticizes the Trudeau government in several areas: For too quickly rejecting U.S. proposals, for insisting on negotiating alongside Mexico, and for promoting progressive priorities like labour, gender, aboriginal and environmental issues. …Finally, he accuses the Liberals of bungling other disputes over lumber and airplanes. Harper says the Liberals passed up on a chance to renew the softwood lumber agreement… The Liberals say that last point about softwood lumber is based on a falsehood. They say there was never a softwood settlement on the table, and that claims to the contrary are wrong. TORONTO – Norbord Inc. (TSX and NYSE: OSB) today reported Adjusted EBITDA of $200 million for the third quarter of 2017 versus $115 million in the third quarter of 2016 and $165 million in the second quarter of 2017. The improvement is primarily due to higher North American oriented strand board (OSB) prices and shipment volumes. North American operations generated Adjusted EBITDA of $184 million compared to $106 million in the same quarter last year and $157 million in the prior quarter. SEATTLE — Weyerhaeuser Company (NYSE: WY) today reported third quarter net earnings of $130 million, or 17 cents per diluted share, on net sales of $1.9 billion. This compares with earnings from continuing operations of $162 million, or 21 cents per diluted share, on net sales of $1.7 billion for the same period last year. Adjusted EBITDA for the third quarter was $569 million compared with $434 million for the third quarter of last year. The McBride Community Forest Corporation (MCFC) has chosen local forester Gene Runtz as its new manager. Runtz is a Registered Professional Forester. According to a news release, interim managers Jeff McWilliams and Wes Bieber will be available to Runtz as he begins his work. McWilliams and Bieber have been navigating MCFC over the last two years, through what the board deemed “a challenging and uncertain time.” The Board let go of former manager Marc Von der Gonna in August 2015 and halted logging shortly thereafter due to overcutting. …At least two outspoken critics of the community forest appreciate the choice of the new manager. While I am certainly no expert on logging practices I feel my questions arising from the article are valid. …1. Why are logging corporations allowed to externalize the costs onto the taxpayer for the environmental damage that they might cause? …2. Why are logging corporations being allowed to cut in forest reserves? …3. If logging corporations need to pick the lowest hanging fruit for larger profit then why are they being allowed to ship raw logs to foreign customers where foreign workers will turn those logs into lumber? …4. Why in Heaven’s name is the Kalesnikoff website the repository for documents and comments in advance of their logging in the Selous Creek watershed? Nelson — By January, forestry consultants John Cathro and Erik Leslie will have decided, in detail, what will it take to reduce the risk of wildfire in five specific areas of West Arm Provincial Park. B.C. 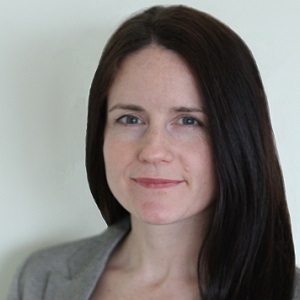 Parks’ Amanda Weber-Roy, who will act once she has received Cathro and Leslie’s plans, said the prescriptions for wildfire fuel treatments will have measurable goals that will differ in different parts of the landscape. 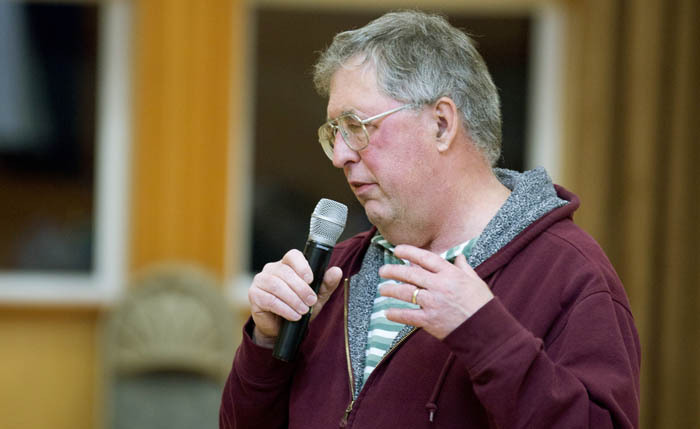 “The prescriptions will show what the forest stand looks like now, and what we want it to look like after,” said Weber-Roy during a public meeting about the West Arm Park fire plan on Tuesday. The unadvertised meeting was sparsely attended. Re-connecting with communities and coming up with a province-wide forestry strategy were two key points in BC Liberal leadership candidate Dianne Watts’ speech to party members in Port Alberni, Saturday night. …Chris Duncan, a board member of the Alberni Valley Community Forest, said the BC Liberals need to educate themselves on forestry issues such as the difficulty smaller contractors are having in dealing with larger forestry companies. “…Contractors are going broke,” while larger companies are making 18-percent profits, he said. Another retired forester said access to private lands now locked behind gates is an issue any potential leader needs to take seriously. Watts was critical of the present-day government for their lack of an overall forestry plan for B.C. that deals with not only wildfire management but the closure of small mills and access to private lands as well. The results are in from the public survey, conducted in September, asking residents how they felt about the operations of the Bella Coola Community Forest (BCCFL). 130 submissions were received, answering seven questions, with an additional 80 comments on how forest operations could be improved. …The survey confirms that there is a need for more and better communications between the community forest and valley residents. This survey and the resulting data is a step in that direction. There was response from a good cross section of the local communities, displaying various interests. Most people had some knowledge of the community forest but preferred to get more through the BCCFL website, the local newspaper or Facebook. Some people suggested the use of an occasional newsletter, email or public presentations as a way to get information. There was also interest in educational programs, operations tours and school field trips. …The state of old growth forests on Vancouver Island resurfaced in the news recently with the announcement that a pair of environmental activist groups plan to reprise a tour of Vancouver Island communities to talk about preserving the Island’s old growth forests. The difficulty with any conversation about old growth forests begins with the definition. As anyone who attended the same environmental group’s meetings in March quickly discovered, definitions of what constitutes “old growth” were mushy and malleable depending on who was speaking. This lack of a clear definition of what constitutes “old growth” then leads to incorrect numbers and assumptions about the amount of old growth forests on Vancouver Island that are just plain wrong. The Trenton Woodlot Conference – on November 24 – is a top-notch forestry event in eastern Ontario, providing expert information and guidance on woodlot/forest management, and hosted by the Hastings Stewardship Council. An interactive field trip will get participants out in the woods. 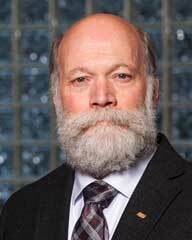 The keynote speaker, Dr. Warren Mabee, will present Seeing the Forest for the Trees: The Role of Woodlots in Ontario Environmental Strategies. Also at the conference, professional foresters Steve D’Eon and Ken Elliot will present Nudging your Hardwood Stands toward Old-growth Status. They will give a photographic tour of Ontario’s rare hardwood old-growth sites dominated by towering maple, beech, and eastern hemlock. 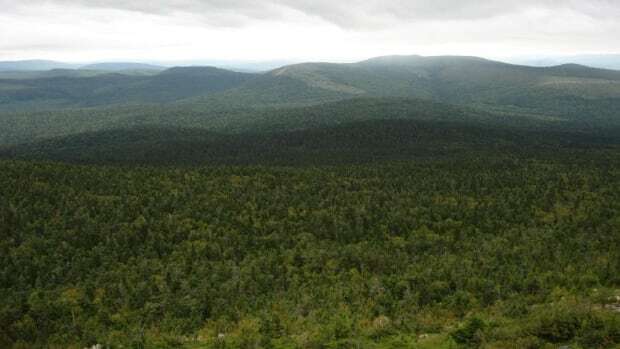 If you have any doubt that our forests are a fraction of their former selves, I challenge you to visit Kentville Ravine in the Annapolis Valley, Hemlock Hill on the St Mary’s River, or Lone Shieling amid the Cape Breton Highlands. These places remind us of the ancient ecosystems which once dominated much of our province, before settling fires, axes, chainsaws and now mechanised forestry ran their unabated courses, leaving us with the young, thin, abused and fruitless forests which today define the public lands of Nova Scotia. It’s an incredible loss … one worth mourning. If you go down to the Acadian woods today, you’ll see a lot of red spruce and balsam fir mixed in with the less common red maples and oaks. About 80 years from now, Maritime hikers may be surrounded by a mixture of trees more reminiscent of North Carolina today. “If you look toward the end of the century, if the climate warms the way climate scientists project, then we’ll begin to see a transition in our forests toward more . . . warmer-adapted maples and oaks,” according to forest ecologist Anthony Taylor. …The Canadian Forest Service study wasn’t sparked by anything noticeable now in the forests, he said. The first effects of climate change on our trees likely won’t be discernible for 50 or 60 years so reducing the harvest or seeding more of these vulnerable species wouldn’t make much of a difference, Taylor said. A new federal study says climate change in the Maritimes may lead to a gradual reduction in the growth of softwood trees, which are crucial to the region’s pulp industry. Using computer models, the Natural Resources Canada study marks the first region-wide assessment of the composition and growth of the Acadian Forest to the end of this century. The forest is carefully watched in forestry circles, as it is a unique mix temperate forests, with warmer weather trees like red maples, and boreal forests that include fir and spruce. Assuming that greenhouse gas emissions continue at “business as usual” levels, the study says the woodlands will experience an average temperature rise of 7 C by the end of the 21st Century. As a result, in the latter half of the century trees like red spruce will decline in abundance between 10 to 20 per cent when compared with 2011, while the hardwoods that prefer warmer climates will increase. Having burned through almost 14,000 square miles of western forest, killed dozens of people, and cost federal agencies almost $3 billion, this year’s extensive wildfires have had one positive effect: They’ve gotten Democrats and Republicans in Congress finally to act. Senators from Washington, Oregon and Idaho have introduced legislation that would let timber companies clear brush and harvest trees from federal lands in parts of the so-called wildlife-urban interface, rendering it less vulnerable to uncontrollable fires. The companies would be able to do this without going through the usual demanding environmental reviews. The agreement would make it possible to spend more on both fire-fighting and forest management. …It’s a shame that it took this year’s raging fires to push Congress to fix something that should have been fixed a decade ago. But if lawmakers act now, the U.S. will be better prepared to face the next wildfire season. The budget-starved Forest Service gives jobs to the lowest bidder instead of local communities. 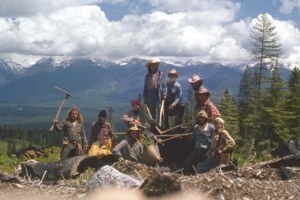 In the early 1990s, as overcutting and the endangered northern spotted owl put the kibosh on the West’s timber bonanza, forest managers began to dream of a more modest woods-based economy. 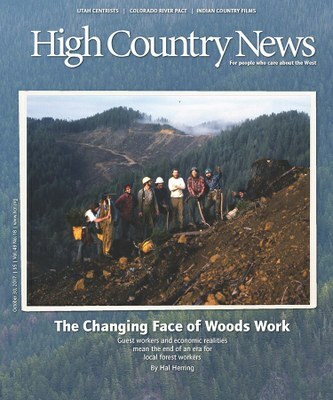 Though jobs cutting old growth-trees and replanting clear-cuts were vanishing, perhaps workers could restore forests that had grown dense and flammable due to fire suppression, bugs and drought. A vibrant forest-restoration economy, based on thinning and controlled burning, could spring up around public lands, providing good blue-collar jobs and fiber for mills that would otherwise close. Unfortunately, that vision has never been fully realized. Almost two years after work began and 10 years after discussions first started, the Custer Gallatin National Forest has finished writing a preliminary environmental assessment examining a proposed land exchange north of Yellowstone National Park. …“The big purpose is wildlife habitat and public access,” Thom said. “That’s a big migration route for that Northern Yellowstone elk herd. …“The acquisition would also conserve important scenic values in the upper Gardiner Basin,” the EA stated, protecting a portion of the narrow section of the Highway 89 corridor to the park’s Northern Entrance, located about 12 miles north of Yellowstone National Park, from subdivision and development. While California begins to repair the devastation wrought by its extreme wildfires, fire scientists are researching ways to prevent such destruction to human life and property in the future. The University of New Mexico’s biology department conducted a study designed to help California learn new fire management techniques. 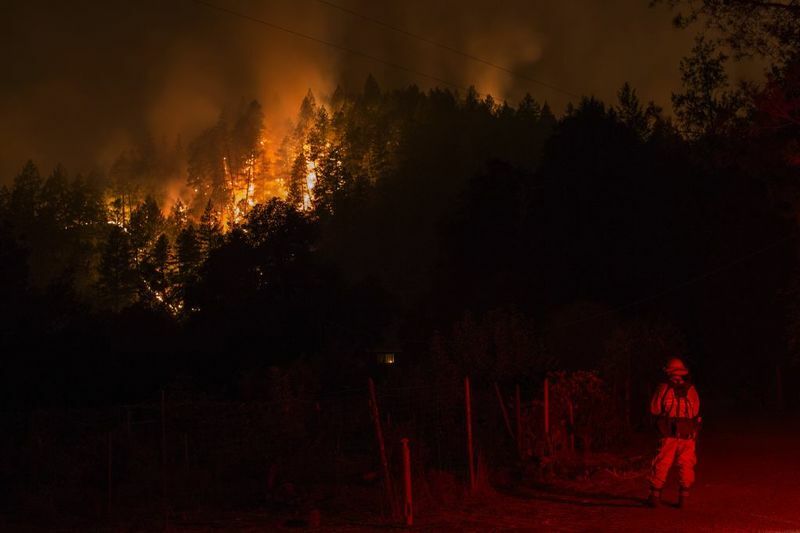 Matthew Hurteau, an associate professor for the biology department and coauthor for the study, said regular, smaller, controlled forest fires are key in preventing fires of the magnitude seen in California in recent months. “One of the things that has been a focus of a considerable amount of past research — and since then, implementation by forest management agencies — is this idea that we need to restore regular surface fire to these forests as a way to reduce the risk of these big hot wildfires,” Hurteau said. We were somewhere in Benewah County, Idaho, on a resplendent late April afternoon in 1993. ..None of us knew it then, but we were witnessing the end of a long era of Western woods-work, the end of tree-planting, timber-thinning and most other manual labor on the public lands, at least by American citizens like Davis and me. …The narrative reveals hypocrisy in our national politics on both the left and the right. As I write this, the smoke has just cleared from one of Montana’s worst fire seasons. The state’s new congressman, Republican Greg Gianforte, is planning a “Forest Jobs Tour” to promote the idea that the fires resulted from a combination of U.S. Forest Service inaction and environmental litigation that has shut down public-lands logging and thinning. Absent is any discussion of the Republican Party’s relentless efforts to strangle the budget of that same Forest Service. A four-year-long revision of Flathead National Forest’s Land and Resource Management Plan is nearly finished. Next month, the U.S. Forest Service hopes to release a final Environmental Impact Statement for the new plan, as well as a draft record of decision to implement it. Once that happens, the public will have 60 days to file objections before it becomes final. With the draft plan and amendments stretching to 575 pages, and the draft impact statement taking up hundreds more, the process may seem opaque and bureaucratic. But once finished, these decisions will shape the future of 2.4 million acres’ worth of animals, plants, waters and fires. The 2017 fire season in the Western U.S. has been one of the most extensive and expensive on record, with over 8.8 million acres burned and a price tag exceeding $2 billion in federal firefighting costs alone. …It is natural to ask why there was such extensive burning this summer. The answer is clear: drought. After a fire season like 2017 it’s tempting to search for an accountable party on which to place blame. Recent claims that large and severe fires have been caused by litigious environmental groups and declining harvest rates on public lands managed by the U.S. Forest Service are not consistent with the current scientific understanding of wildfires. The widespread burning during the summer of 2017 was primarily due to the intense drought in the Northern Rockies and Pacific Northwest. Sen. Jeff Merkley, D-Ore., recently zeroed in on some common sense in wildfire prevention and forest health. He pointed out in a Senate committee this week that thinning and prescription burns are good for both. “The only thing that stops us from adopting this strategy, which produces saw logs, makes the forest healthier, makes it fire resistant, is funding,” he said. “Why not concentrate on getting the funding to do these things?” He’s right, but if it was that simple it would get done. …Congress has known for years that the way wildfires are funded drains the money away from preventing fires. It’s called fire borrowing. The costs of fighting wildfires blows right through the wildfire budget and then money that could have been spent on fire prevention is consumed by wildfire costs. EUREKA — After more than a million acres of forests and prairies burned this past summer in Montana, state and federal land managers are taking a hurried look at the timber that can be salvaged before it loses its value to the state’s timber industry. In some places, land managers are hoping that some of that dead timber can be harvested as early as this winter. In others, the process will take longer. …Montana Fish, Wildlife and Parks biologist Tim Thier hopes that a salvage operation will help jump-start the healing process in an area that’s been important for wintering elk and deer. …Any salvage work on the estimated 710,000 acres of national forest lands that burned in Montana will likely have to wait until next year as the U.S. Forest Service works through its own process. As Montana life rolls on, we find our economy in the all too familiar position; lagging behind. In a state heavy with natural resources, we have in the past relied on a tax base from those resources. …Now we find ourselves in a bind as the implementation of environmental neglect eclipses the past productivity of a healthy, sustainable, useful management of our state resources. …I agree with Gov. Steve Bullock’s budget director when he spoke of the timber industry losing Montana mills, and further said, now our No. 1 industry is health care. Health care that has become a multi-million-dollar business. He is quoted, “Mills paid property tax, hospitals do not.” This shift away from natural resources is the long-term problem that we as Montana need to wrestle. Fortunately there is a short-term fix that Gov. Bullock fails to implement. The Clean Energy Jobs bill, which will create jobs while reducing Oregon’s carbon footprint from 60 million tons a year to 50 million tons by 2025, is percolating in Salem in preparation for the 2018 legislative session. Work on the bill — Senate Bill 1070 — comes as new survey data reveal that Oregon’s forests absorb 36 million tons of carbon dioxide annually, more than half the state’s entire previously known carbon footprint. …It’s difficult to exaggerate the possible economic importance for Oregon of the amount of carbon we now know our forests sequester. …By authorizing the trading of Elliott Forest carbon credits in the language of SB 1070, lawmakers can launch a brand-new economic paradigm for Oregon’s forests. We tend to ignore seeds, or curse them, but we rarely see them. Not in the way that photographer Robert Llewellyn has by unlocking their secrets using software technology called image stacking. From many photos comes one complete image in perfect macro focus. The project, captured in the book “Seeing Seeds” (Timber Press, 2015), also involved more prosaic manipulation. “Sometimes he had to soak, dry, coax, pry, or pin plant bits to expose seeds,” wrote co-author, Teri Dunn Chace. JEFFERSON, N.H. — A plan to significantly expand a wildlife refuge that covers parts of the Connecticut River watershed in New England is running into opposition from the timber industry and governors in several states. The U.S. Fish and Wildlife Service earlier this year released a 15-year conservation plan for the Silvio O. Conte National Fish and Wildlife Refuge, which covers more than 37,000 acres in Vermont, New Hampshire, Massachusetts and Connecticut. It identified 197,000 acres that could be added to the refuge. …But the governors in Vermont and New Hampshire have raised concerns that the plan would take lucrative land off the tax rolls. BROWN COUNTY, Ind. 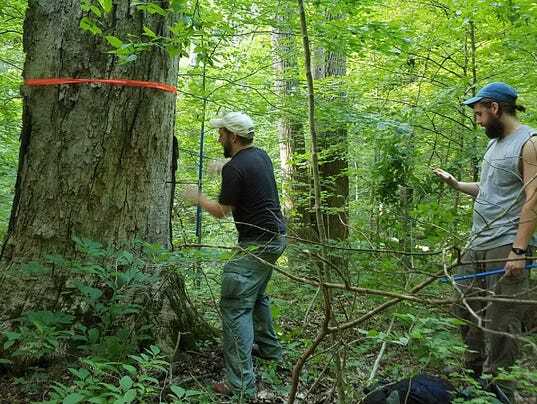 – Environmentalists, nearby residents, and tourism officials are making a last-ditch effort to keep part of an old growth forest from being logged. They’re upset about the DNR’s plans to let a private bidder log three tracts of forest within the Yellowwood State Forest back country in Brown County. It’s a wilderness area home to many trees much older than its nearby inhabitants. …Jeff Stant heads the Indiana Forest Alliance, which has led efforts to stop the harvest. It calls for removing up to 2,000 trees from a 300-acre area. …Michael Spalding, a resource supervisor with the DNR, said the culling is meant to protect the forest. He said it doesn’t involve clear-cutting but single selection, meaning many of the trees targeted have been damaged by fire or insects. Forestry operations currently rely heavily on forest inventories that employ field plot data as a basis for estimating forest attributes. This labour-intensive approach provides limited information and has become a costly bottleneck in completing operations. Remote sensing can be used to obtain more accurate and comprehensive forest inventories with less effort. This article discusses high resolution forest inventory services (HRISs) which combine state-of-the-art remote sensing technologies and computer analytics to produce operational forest inventories that help to improve the efficiency of various forest management activities. …employing forest inventories to quantify existing forest resources within a given area is critical for scheduling forest management activities, valuation, planning, compliance with governmental regulations and decision support. SEOUL — Prime Minister Lee Nak-yon pledged Monday to share with the world South Korea’s experience in restoring forests devastated by the 1950-53 Korean War, saying it would help cope with climate change and other environmental challenges. Speaking at a gathering of forestry ministers from the Asia-Pacific area, Lee also called for the region to work together to prevent illegal logging through a multilateral cooperation mechanism. 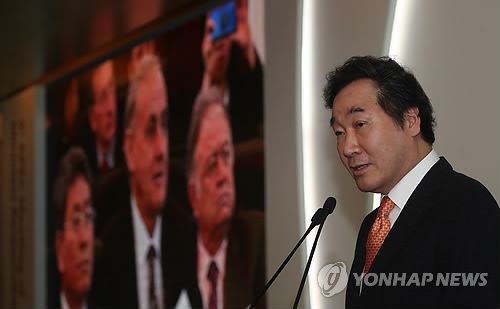 “Despite the hopeless situation (following the 1950-53 Korean War), South Korea succeeded in forest restoration within less than 20 years, and in the process, South Korea received much assistance from the international community,” he said at the Meeting of Ministers Responsible for Forestry of the Asia Pacific Economic Cooperation (APEC) forum. 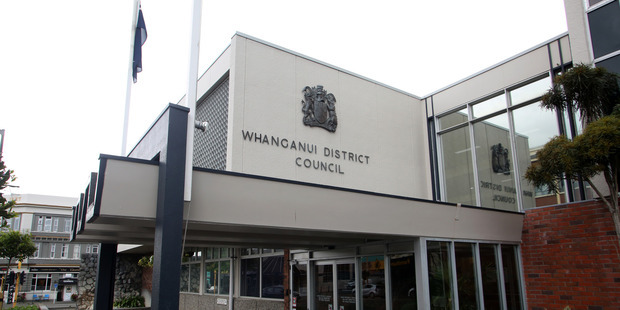 The pending sale of Whanganui District Council forestry to a foreign buyer has been delayed again and an outcome will not be known until next year. The sale of the district’s forests – McNabs, Te Ara To Waka, Sicilies and Tauwhare – is awaiting approval from the Overseas Investment Office (OIO). …The identity of the buyer remains confidential until the sale is finalised – as does the purchase price – but is believed to be part of a Japanese-based forestry investor.